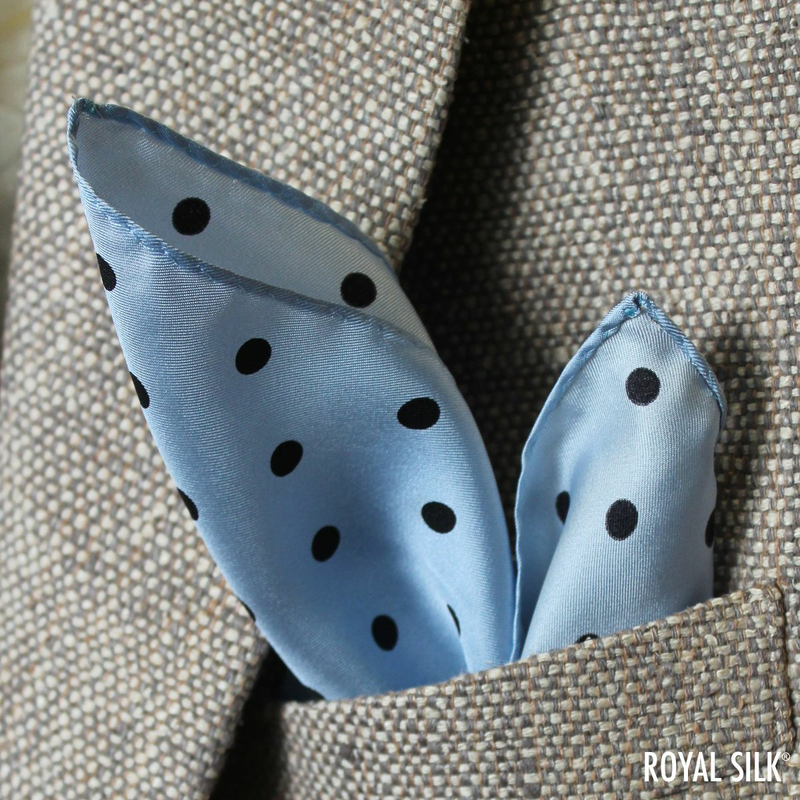 Twill is a type of silk weave with a pattern of thin diagonal lines. 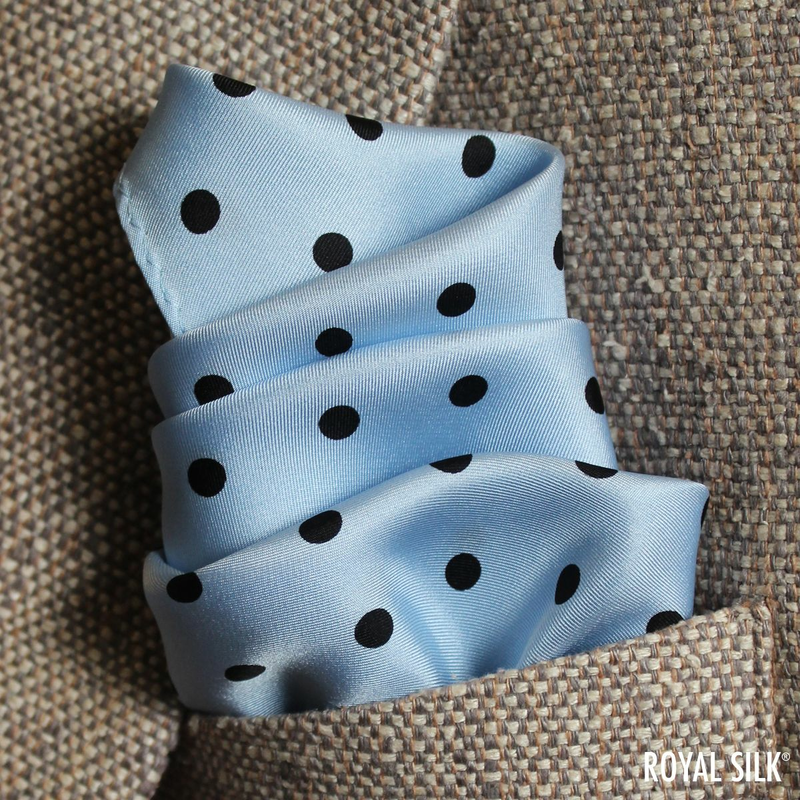 The fine twill weave allows the silk to drape and fold nicely which is why it is typically used for fine men's pocket squares and handkerchiefs. 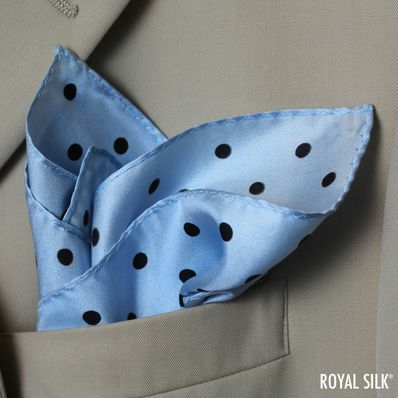 This Royal Silk pocket square is made of genuine, high-quality 12-momme silk twill with a subtle sheen and elegant drape. 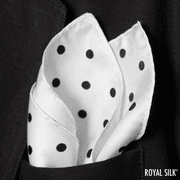 Classic polka dot design. 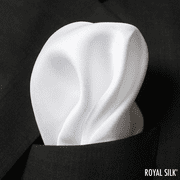 Suave and elegant for sure. 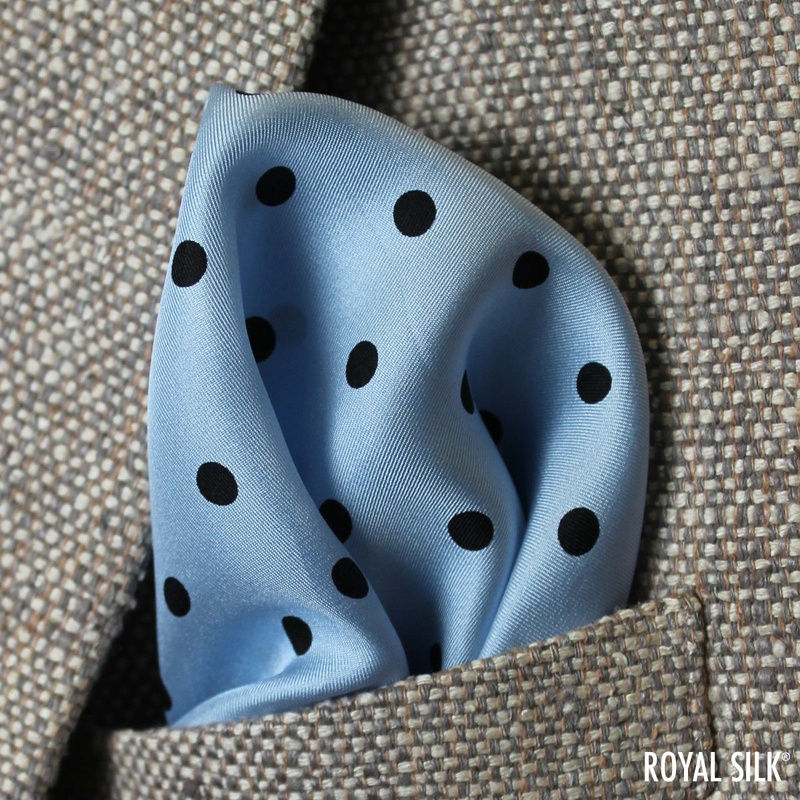 Even so, undeniably chic, cool and contemporary whether you sport a tie or not. Seriously though, this is one of those men's must-have fashion essentials that will work now and forever. 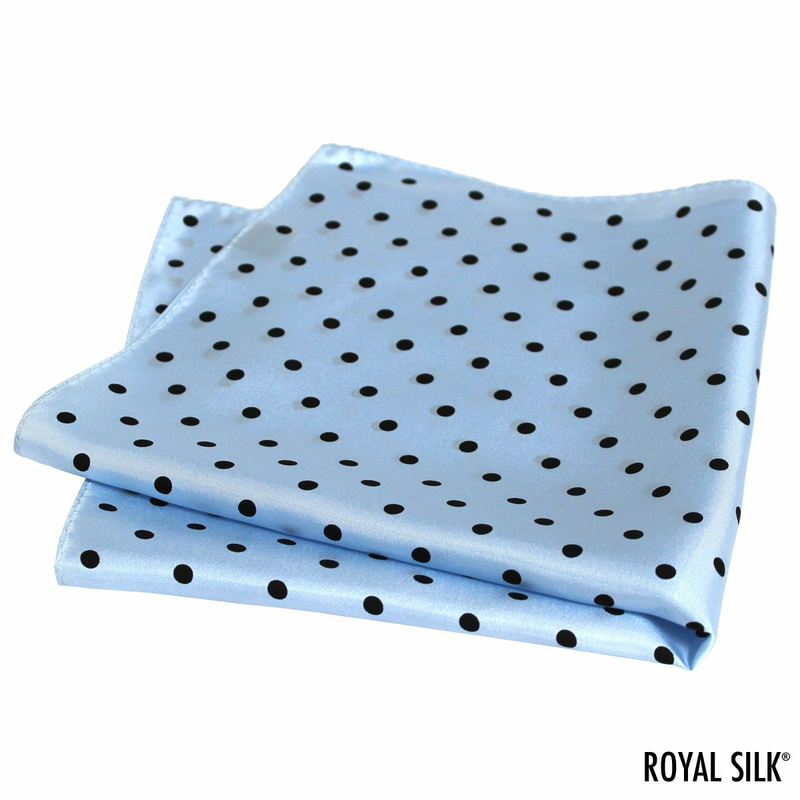 Genuine 12mm Silk Twill. 100% Silk. 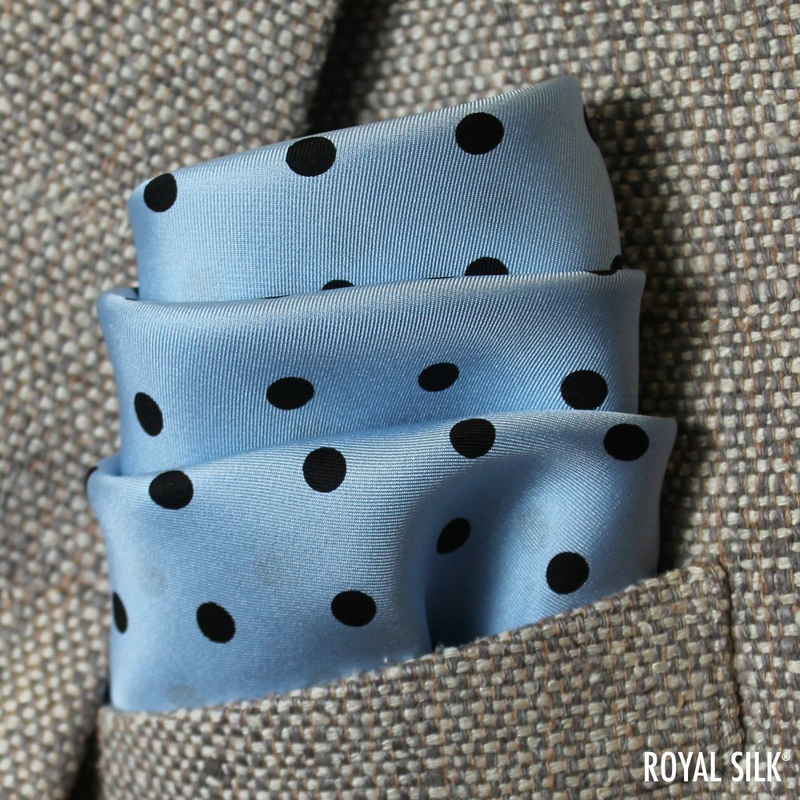 Twill is a type of silk weave with a pattern of thin diagonal lines. 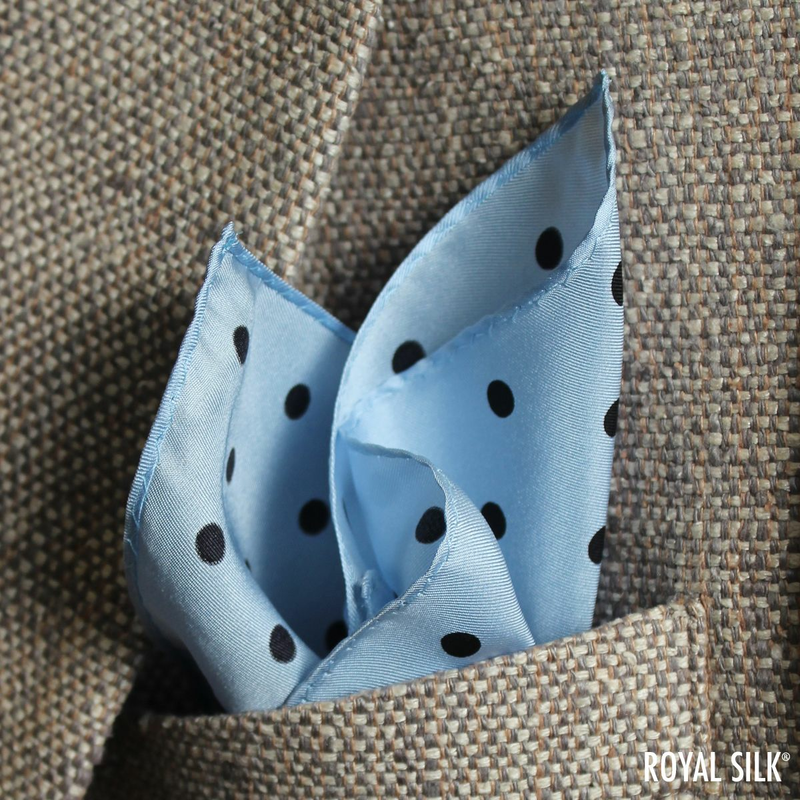 The fine twill weave allows the silk to drape and fold nicely which is why it is typically used for fine men's pocket squares and handkerchiefs. Imported. About 17 inches square. 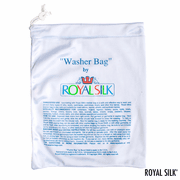 Trust Royal Silk�. Since 1978.